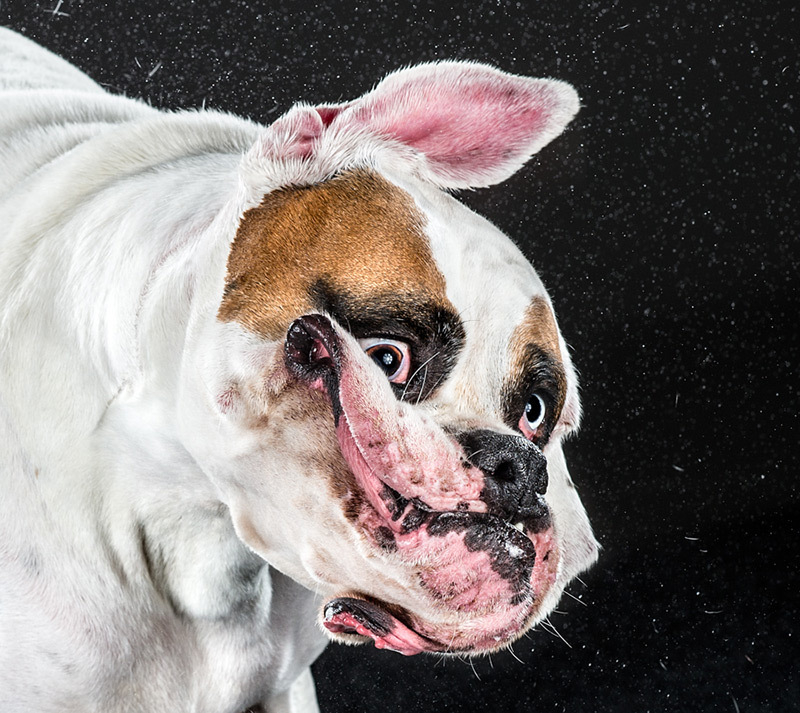 Published just today, Shake is a new book of photos from Portland-based photographer Carli Davidson who used a high speed camera to capture hilarious freeze-frame shots of various dogs mid-shake. 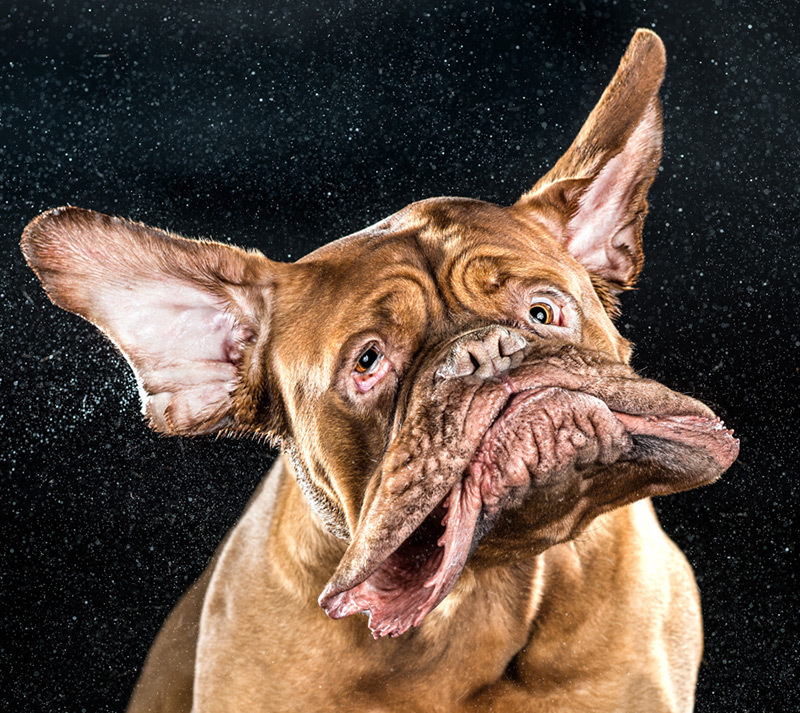 The amusing portraits seem to transform ordinary pets into strangely distorted animals right out of a cartoon. Known for her candid and heartfelt portraits of pets and wildlife, Davidson first began photographing animals while working with the animal care team at the Oregon Zoo. Shake was partially inspired by her own dog Norbert whose drool she regularly scrubs from the walls of her home due to his frequent shaking. To accompany the book Davidson also teamed up with the folks over at Variable to make a slow motion montage of numerous dogs shaking and rolling their heads. That’s two whole minutes of glorious HD drool. 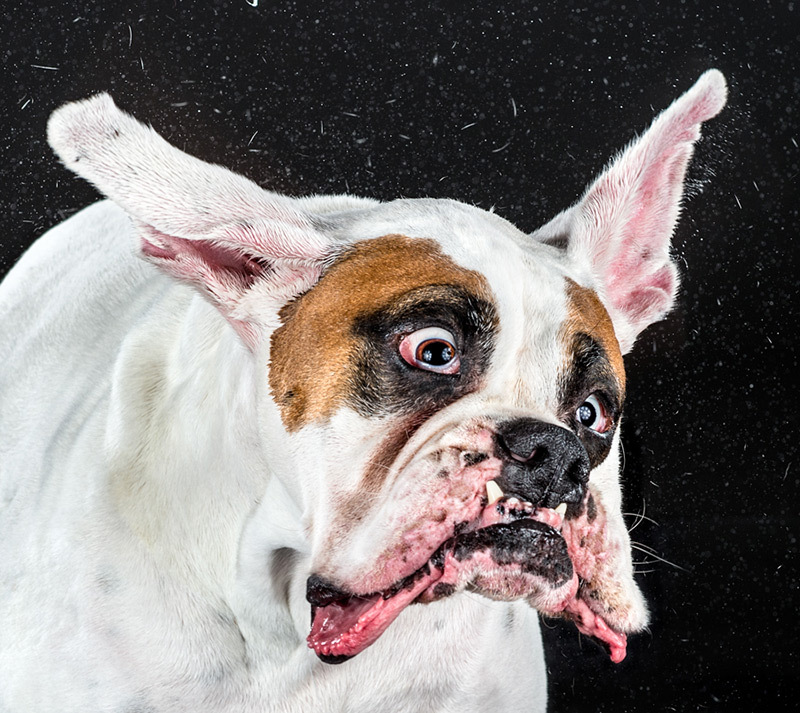 Shake features a total of 130 high speed photos of 61 dogs, some of which are also available as prints. Pick it up here.